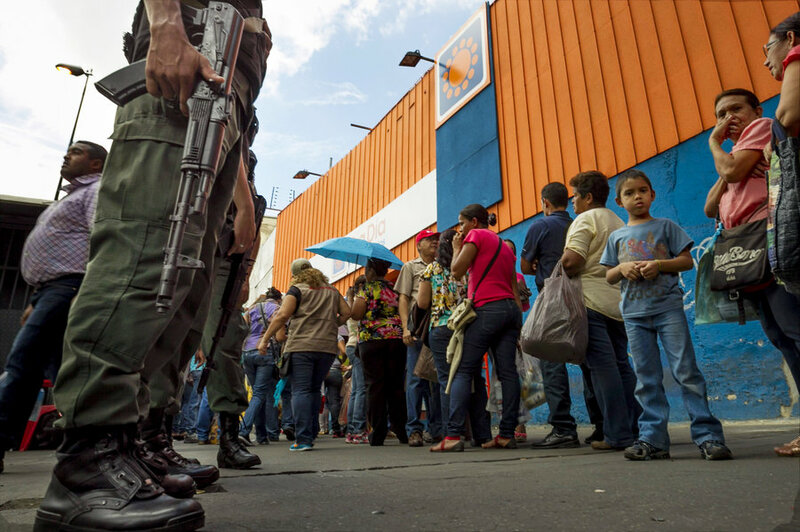 Venezuela is on the edge and reaching a tipping point. Luis Almagro, secretary general of the Organization of American States (OAS), said at the Atlantic Council that one of the tragedies of Venezuela is that what is happening there could have been avoided. 1. During 2016, the Inter -American Commission on Human Rights (hereinafter “the Commission” or “the IACHR”) has continued to monitor the overall human rights situation in Venezuela and has observed persistent structural situations that affect the human rights of Venezuelans and led to a grave political, social, and economic crisis. These structural situations identified by the Commission have first of all included a worsening of the citizen security situation, related to the right to life and humane treatment. 2. Second, there has been deterioration of the rule of law and democratic institutions. Reports continue of lack of access to justice and an independent and impartial judicial branch, while on the other hand, political polarization has been exacerbated, resulting in open confrontation between the legislative branch and the other State authorities that has affected the balance and separation of powers necessary for a democratic society. In this context, the Commission has also observed a corresponding impact on political rights and the right to participate in public life. 3. Third, a deterioration of the right to freedom of expression has been observed, including the arbitrary detention and imprisonment of opposition figures and individuals who publicly express their disagreement with the government; repression of and undue restrictions on the right to protest; dismissal of public employees or threatening them with losing their jobs should they express political opinions against the government; campaigns to stigmatize and harass journalists, opposition politicians, and citizens; the use of criminal law and other State controls to punish or inhibit the work of a critical media; and impediments to the right to access to information. 4. Fourth, access to economic, social, and cultural rights (ESCR) has been severely restricted. Shortages and scarcity of food, medicine, water, and electricity have led to a grave crisis, contributing to disease outbreaks and other affects on health. The response to the situation has been deficient and in some situations entailed a lack of access to necessarily medical care. This has severely affected children, sick individuals, pregnant women, people with disabilities, and the elderly, among other groups. In this context, added to the political context, public protests have increased, and security forces have responded to them by using force. 5. The Commission has also continued to observe the precarious situations of human rights defenders, people deprived of liberty, migrants and refugees, and other particularly vulnerable groups. Finally, the Commission continues to find it difficult to conduct monitoring given that access to public information on the performance of State bodies is scarce, as is access to official data that would enable it to evaluate respect for human rights in Venezuela. Although the United States alone did not fail to defend democracy (others in the Americas also failed the South American country), it did play a role with a bad policy. 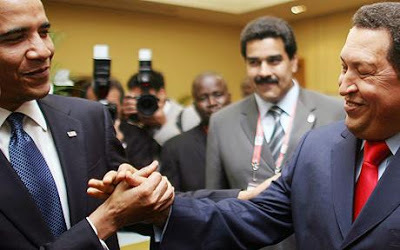 The Obama Administration since 2009 sought a new relationship with Latin America, specifically with Venezuela and Cuba. 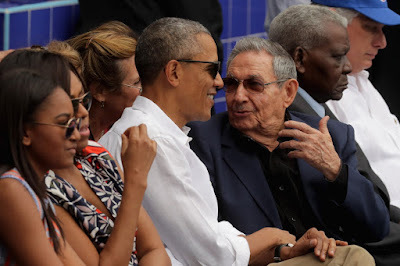 It was achieved in the midst of a worsening human rights situation in the region, coinciding with the expanding influence and legitimization of the Castro regime as it normalized relations with the United States. This process has also been underway in Nicaragua, along with the continued denial of that reality by the American embassy there. Opposition lawmakers have been ousted by an electoral authority controlled by president Daniel Ortega. 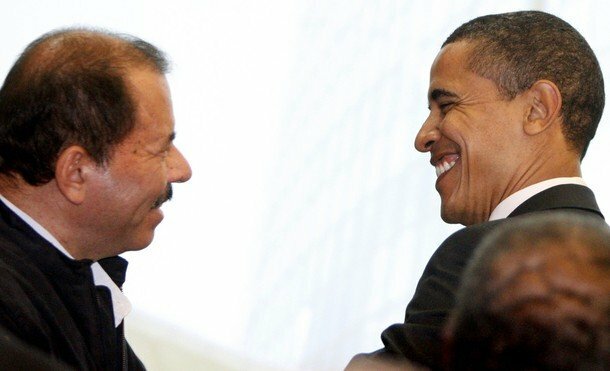 Ortega did not permit foreign observers into Nicaragua to monitor the November 6 presidential and legislative elections that were rigged. Despite normal relations and high level outreach early in the Obama Administration the Ortega regime pursued closer relations with Russia and China. In April 2016 Nicaragua purchased 50 Russian battle tanks at a cost of $80 million. Vladimir Putin signed a new security agreement with Nicaragua's Daniel Ortega in 2016. "When others were content to look the other way as Venezuela collapsed into dictatorship, I raised my voice to denounce the systematic violation of the Constitution and the escalating violent repression. There is no greater crisis facing our hemisphere today. We must stand in solidarity with the brave people of Venezuela in restoring democracy and the rule of law in their country. My raison d’etre at the OAS is “More Rights for More People”. This is a solemn commitment I take seriously every single day. It is a responsibility of which I will never tire. It is the fundamental role of the Organization of American States – to stand vigilant in defense of democracy throughout the Americas. This is why the Inter -American Democratic Charter was created. It is a commitment that all member states must take seriously at this moment of truth for Venezuela. In a Hemisphere of close to 1 billion people, 20 countries that represent nearly 90% of the population of the Americas joined to speak in defense of democracy in Venezuela. Twenty foreign ministers advocated for the lives and human rights of the Venezuelan people, at the General Assembly that took place in Mexico in June. But as the violence in Venezuela escalates and the death toll continues to rise, it is clear that words are not enough. The reluctance of the international community to act in defense of democracy has allowed the situation to deteriorate incrementally, but consistently, to the point where today it has become a full- blown humanitarian and security crisis. Every step of the way it has been too little, and too late. The Democratic Charter was designed as a preventative tool. When it was agreed, it established a very explicit authority to act in every signatory state, when necessity requires. When used as intended, it can prevent or stop any backsliding in the regions’ hard -earned democracies. It is true that only the people of Venezuela must solve the crisis in their country. However, in Venezuela, the words of civilians are met with the weapons of the Regime. The people of Venezuela peacefully took to the streets in defense of their fundamental rights and freedoms. The Regime responded strategically and systematically, targeting an unarmed, civilian population with violence and terror. More than 100 people have been killed since the protests began. That is one close one person each day. 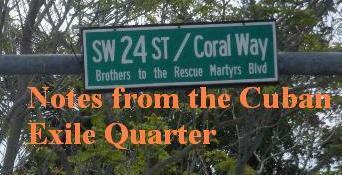 Of those killed, more than 30 were under the age of 21; 24 were students; 14 were teenagers. Since the protests began, more than 450 investigations into human rights violations have been opened. Civil society estimates that the number civilians injured is above 15,000. As of July 12, there were 444 political prisoners in Venezuela; the highest number since the military dictatorship of Marcos Pérez Jiménez. These statistics do not include the thousands of lives lost in the humanitarian crisis. Countless Venezuelans are dying without food or medicine - between 4 and 6 children die every week from malnutrition." Million of people are losing their freedom and thousands of people are losing their lives. This humanitarian and security disaster was first a moral and ethical one that could have been prevented. The international community bears a measure of responsibility in what is unfolding in Venezuela. Hopefully responsibility will be taken to resolve it.